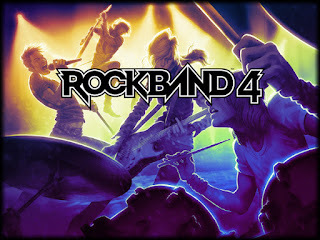 Harmonix Music Systems, Inc. has commenced a Fig crowdfunding campaign to bring Rock Band™ 4 to PC players. During the next 35 days, fans will get the chance to own a piece of Rock Band history by going to (https://www.fig.co/campaigns/rock-band-4-pc) to support the project and make their Rock Band dreams come true. Targeting a release on Steam in Fall 2016, the PC version will truly democratize video game revenue in two ways. First, supporters are given the option of backing the game for traditional rewards or becoming an investor in the project through Fig to receive a percentage of game revenues. Secondly,Rock Band 4 for PC will provide players with the tools to author their own songs, bringing user-generated content back to Rock Band! Players can submit their own songs to the Rock Band Networkvia Steam Workshop, making them playable by everyone in the Rock Band 4 community on Steam. Harmonix sees Fig as the logical evolution of crowdfunding. With options to become a backer or investor, Harmonix and Fig are delighted to offer the opportunity to participate in the creation and potential success of Rock Band 4 on PC.